Do not miss this action, get your adrenaline pumping! Do you want to take part in an action movie? It's your choice - you can go on an adventure with your family, your friends or maybe with your colleagues. It will be like a movie but it will be yours - you will be the main protagonists diving into the exciting adventure! With your team you will visit another, unknown world, among riddles and mysteries that you will have to unravel; you will overcome obstacles and experience superb emotions. The situation would be completely believable, realistic, achieved with the latest technologies. The experience is unique and totally worth it! We are talking about the two brand new attractions in Bansko. 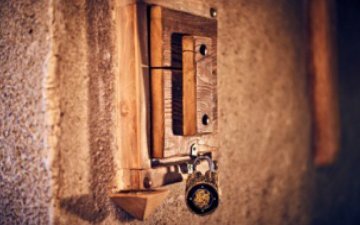 From January 12th Lucky Bansko Aparthotel has opened two escape rooms - "Hacker" and "Egypt." In these rooms with puzzles you do not need any specialized knowledge or skills in a particular area or any particular physical data and capabilities. It's all about logic and combinative thinking. In brief - imagine Hercule Poirot by Agatha Christie and Sherlock Holmes by Arthur Conan Doyle being a single person. Interesting, isn't it? It is good to have their observation skill, and their "natural compass" for time and space is also useful. Because of the brainstorming process needed to solve the mysteries and puzzles, these rooms are also known as puzzle rooms – the correct decisions are being chained like a big puzzle in order to lead you to victory. The plots of the rooms must be kept in secret in order to not spoil the surprises and mysteries to the people who haven't tried them yet. Broadly speaking, the team will be locked in a room and you have exactly 1 hour to find a way out and escape. In fact, the adventures are very diverse, even their era could be different from the real world. Exactly as it is in the "Egypt" room – you will have to “decode” the wisdom and way of thinking of the ancient Egyptians who have invented very unique ways to keep secrets and treasures in the pyramids. "Egypt" is appropriate for families with young children, even 4 years old. That's why earlier we mentioned about the family game - a larger family or family friends. The story is very entertaining and attractive to both adults and children. "Hacker" is for a bit older children - over 8 years old as well as for adults. There you will encounter a hacker and, more specifically, in his own lair. Can you unravel his plan and “hack” it on your own? These entertainment games represent a collective sport - involving at least two and maximum six people. Around the world, many companies already use them as a successful teambuilding activity. Shared adventures and emotions unite the team in a direct way but they do even more. Through extreme situations they demonstrate special qualities of people who otherwise have no way to show them in their daily job. No matter how realistic it can feel, you should never forget that, after all, this is just a fun game. Being locked in a room should not bother you in any way. The technical team will constantly monitor what's happening on the cameras and will intervene if necessary. For example, if a player or the whole team decides to give up and leave the game, their wish will be fulfilled immediately. The room will be unlocked and then you can come out. However, this is very unlikely to happen – people get so involved into the action and their team plays the game so fiercely at times, always chasing the victory. So, what should you do in order to experience these action-packed emotions? Book a date an hour online for "Egypt" or "Hacker", or why not both? Just take a look at the calendar for the rooms and choose the most convenient time for you and your team. The organizers will take everything else from there, leaving all the fun part exclusively to you to enjoy.